Situated in Inyo County, California, is the Eastern Sierra community of Independence. For fans of the late author Mary Austin, it’s a name that they know well. For others, the community represents much more than a famous writer’s former stomping grounds. Eastern Sierra is also a warm and inviting place to refuel while hiking the Pacific Crest Trail. The 2,655-mile trail is one of many favored by avid, ambitious hikers. Those that aren’t ardent hikers may recall seeing it featured on Oprah and ESPN. The ESPN feature was the most recent. It focused on two record-breaking hikes that ended in August 2013. The famed Pacific Crest Trail isn’t all that brings hikers and other outdoor enthusiasts to the Eastern Sierra community of Independence. 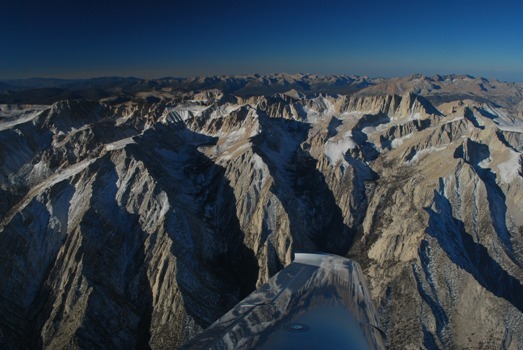 The Onion Valley, John Muir Wilderness Area, Independence Creek, Kings Canyon National Park and Mount Whitney Fish Hatchery do their part as well. Collectively, all of the natural spots found in Independence and the surrounding areas offer opportunities for engaging in a multitude of activities. Those activities include fishing, 4-wheeling, climbing, rock hunting and mountain biking. There is also cross-country skiing, snowshoeing, pack riding and wildlife watching available too. A famous author and a bevy of recreational opportunities are not Independence’s only claims to fame. It is also home to the Eastern California Museum, which is open throughout the year. The museum houses a variety of interesting exhibits, including one dedicated to Norman Clyde. He was a celebrated explorer who spent a great deal of time treking through the area. Other exhibits on offer include those dedicated to Mary Austin, Manzanar, fossilized animals and ancient dentures made with coyote teeth. Speaking of unusual sights, Independence has one more attention grabbing delight. It is none other than the annual Fruitcake Festival. Each December, the fun-loving homage to the holiday dessert becomes a great place to dress up, eat cake and sip some eggnog.